26-year-old Winston Churchill on a lecture tour of the United States. BOB GARFIELD: And I’m Bob Garfield. Darkest Hour is the latest in a long line of Hollywood hagiographies of British Prime Minister Winston Churchill, replete with cigar, bowler hat and stentorian speeches in Parliament and on the wireless, warning the world about Hitler and rallying a besieged nation to victory. LORD HALIFAX: Hitler will not insist on outrageous terms. He will know his own weaknesses. He will be reasonable. PRIME MINISTER WINSTON CHURCHILL: When will the lesson be learned? When will the lesson be learned? [TAPPING SOUNDS] How many more dictators must be wooed, appeased, good God, given immense privileges, before we learn? [TAPPING] You cannot reason with a tiger when your head is in its mouth! BOB GARFIELD: But the caricature of heroic arrogance obscures the fuller picture. As Indian politician Shashi Tharoor wrote in the Washington Post last week, Churchill, the icon of freedom, was also Churchill, the racist imperialist. The mainly shrouded history of his savage efforts to keep Britain’s grip on India is told in Churchill’s Secret War: The British Empire and the Ravaging of India During World War II by journalist Madhusree Mukerjee. Madhusree, welcome to On the Media. MADHUSREE MUKERJEE: It’s a pleasure to be here. BOB GARFIELD: We know well the portrayal of Churchill as a wartime hero, [DEEP-VOICED IMITATION] we shall fight on the beach and we shall fight on the land and grounds, and, and all that, and much if that is just plain history. But history, as they say, belongs to those who write it, and Churchill did just that, huh? MADHUSREE MUKERJEE: Well, exactly. After the war, he had complete access to all United Kingdom documents and an entire team of researchers and writers who helped him actually write six volumes or so of his World War II memoirs. And these volumes put Churchill at the center of the war, whereas historians have filled out some of the detail, which is that it was the Soviets who defeated the Nazis and the Americans who defeated the Japanese. BOB GARFIELD: And that was not his first go at writing history or at autobiography because when his political career was in shards after the First World War, he wrote a history then, as well. MADHUSREE MUKERJEE: He wrote several histories. He wrote something called The History of the English-Speaking Peoples but he wrote an autobiography, although he was young, and it's extremely revealing of his upbringing. He grew up in the Victorian era. 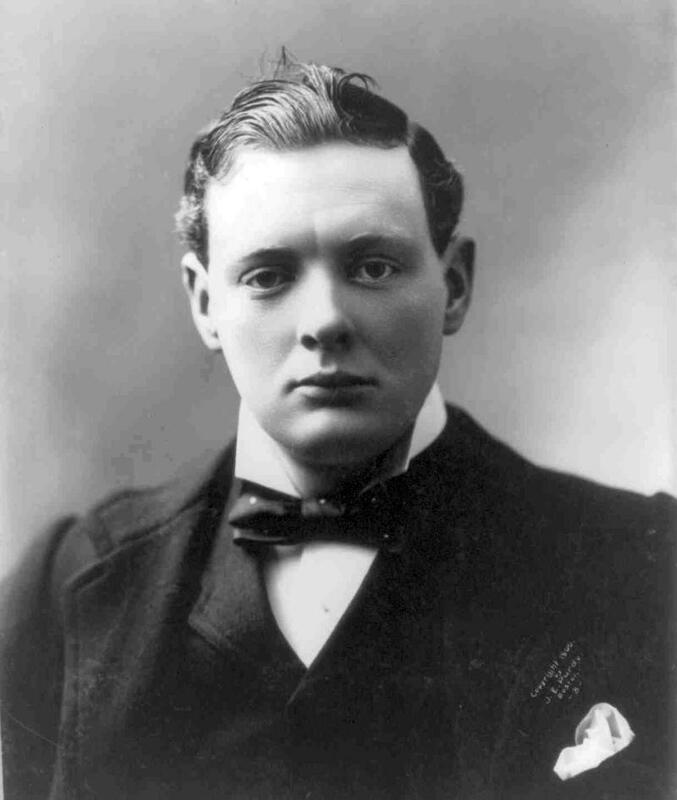 His father was Lord Randolph Churchill, secretary of state for India, and he exhorted Britons to safeguard India, that precious jewel in the crown, because that was what had made Britain an empire to rival possibly even the Romans. So Churchill grew up in this tradition. And he actually writes that, you know, it's too bad that World War I has made war unfashionable and that we cannot expect to have great wars between the great world powers, but I still hope to have a few savages to shoot at. And he actually says, I hope for an uprising in India so that we can all march down the plains and shoot them and become famous. He was a really accomplished writer. As we all know, he won the Nobel for Literature, which I think is very fitting because it's usually given for fiction. BOB GARFIELD: He also wrote of Iraq. He wrote about Zulus. He wrote about Indian civilians, according to his own secretary of state for India, Leo Amery, in the most dehumanizing terms. MADHUSREE MUKERJEE: Amery likened Churchill's views on Indians to those of Hitler's towards lesser peoples. And after the war was almost won, when Churchill was realizing that India would probably be lost, he prescribed this program of reconstructing India according to Soviet lines. Churchill, during the war, was a great admirer of Stalin and wanted to emulate him in certain aspects, such as scorched-earth policies. BOB GARFIELD: I guess we need a little bit of historical review here. During the war, he was not idle in India. Can you tell me what was going on there in the ‘30s and the ‘40s? MADHUSREE MUKERJEE: Well, India was a source of resources and also of manpower. It was probably the largest source of manpower for the British Army. But the freedom movement in India had really taken off with Gandhi in the 1930s, at which time even the Tories started to feel that it might be easier to hold India if the people there got some token concessions, so they drafted a constitution for India. And Churchill was so adamant against granting any kind of self-government that he directly attacked the leaders of the Tory Party, calling the constitution that they had drafted “a monstrous monument of sham built by pygmies.” Obviously, this [LAUGHS], you know, didn’t win him any favors and put him out into the political wilderness, until World War II started to stir on the horizon and Churchill rose as someone who was warning against Hitler. BOB GARFIELD: You mentioned Stalin, and in the early ‘30s one of the great atrocities of history was the intentional famine, mainly in Ukraine. Churchill in India presided almost an identical tragedy. Can you tell me about the Bengal famine of 1943? MADHUSREE MUKERJEE: To list the different causes of the Bengal famine of 1943, one was inflationary financing because India was a massive source of resources for Britain's war. It spent about 2 billion pounds on the war and the government didn't have enough money, so it simply printed money. And the money supply increased by six or seven times and went mostly to the armaments manufacturers and other war suppliers and it sucked the food out of the countryside. Then when the Japanese took over Burma in March, 1942, that cut off a major source of imports of rice to India. But Churchill's role in all this is that even though India was short of food, he insisted that India, instead, export food. So India was exporting 40,000 tons of wheat every year and also exporting rice. BOB GARFIELD: And was this primarily for the war effort? MADHUSREE MUKERJEE: This was primarily for the war effort but the United Kingdom had put in place a plan to feed its people as early as 1936. They had stockpiles. They had rationing booklets printed and distributed even before the war broke out. In India, although it was completely clear it would be a major source of supplies for the war effort, there were no stockpiles. And when it became clear that the famine is raging, that people are dropping on the streets of Calcutta, several foreign countries offered aid, including the US and Canada. The war cabinet in the UK turned them all down. They said, we are taking care of it. But on August 4th, 1943, there was a meeting at which Amery said, we have a famine, this is causing morale in the Indian Army to drop, we need to feed the people. Churchill and his war cabinet refused to schedule any food at all for India, saying that it was needed elsewhere, except that 170,000 tons were shipped off after that war cabinet meeting to storage, to stockpiles. So you have a famine-stricken country where eventually 3 million people would die but the food was being stockpiled for future use by Europeans. BOB GARFIELD: In various biographies and filmed biographies of Winston Churchill, the authors seem perplexed that the man who saved England could have become so profoundly unpopular immediately after the war. Some explanations are that his wartime leadership did not carry over to peacetime politics. Were the British people as misled about the whole Churchill as we are in America today? MADHUSREE MUKERJEE: Churchill was very hostile to the working classes. There had been a miner’s strike in which he ordered troops out and people remembered that. Also, when he was younger, he actually believed that the working classes were an inferior people and advocated sterilizing prison populations and the disabled. So he was an aristocrat to the core. People knew that. And also, you have to remember that he wasn't elected prime minister the first time. He got there by replacing Neville Chamberlain because he advocated a strong stand against Hitler. When he was elected the second time, it was probably on the strength of this memoir he wrote, which masqueraded as history, which turned him into a hero. BOB GARFIELD: We were talking about manipulating history by writing it, but there's other subtle ways for someone's historical reputation to belie reality and some of that's as simple as editing. I did my own embarrassing [CHUCKLES] Churchill impression earlier but let's listen to the beginning of that most iconic speech to Parliament. PRIME MINISTER WINSTON CHURCHILL: We shall defend our island, whatever the cost may be, we shall fight on the beaches, we shall fight on the landing grounds, we shall fight in the fields and in the streets, we shall fight in the hills; we shall never surrender. BOB GARFIELD: That’s inspiring but we very seldom hear what he had to say next. PRIME MINISTER CHURCHILL: And if, which I do not for a moment believe, this Island or a large part of it were subjugated and starving, then our Empire beyond the seas, armed and guarded by the British Fleet, would carry on the struggle, until, in God’s good time, the New World, with all its power and might, steps forth to the rescue and the liberation of the old. MADHUSREE MUKERJEE: In the blood, sweat and tears speech, he says that the aim of the war is victory, victory at all costs. Without victory, there is no survival, no survival for the British Empire. He gets more and more furious with India because it becomes clear that it cannot be held. BOB GARFIELD: You’ve written that having defeated the Nazis, Churchill's singular preoccupation turned toward preserving the Empire, particularly India. How did he go about that? MADHUSREE MUKERJEE: He wasn't waiting for the Nazis to be defeated before he did what he thought it would take to hold India, primarily by denying the Indian request for a promise of self-government after the war. And he did all he could to implement divide-and-rule tactics by encouraging, for example, the Muslim League and the ambition to partition India. Since the Indian National Congress had said it would participate in the war gladly if it could be promised self-government after the war, and Churchill refused to do that, in August 1942, Gandhi declared what he called the Quit India movement. And the British responded with ferocity, using the troops that they had in India; 10,000 people died, crowds were strafed. About 90,000 people were arrested. With Gandhi and all of the major leaders in prison and no one left in India to speak for the Indian people, the Bengal famine comes about. BOB GARFIELD: -- and the subjugation of brown people on three continents, this is all unambiguously monstrous. Why do you suppose that, particularly on this side of the ocean, we’ve been so eager to just ignore that and embrace the man for his war heroics? MADHUSREE MUKERJEE: Well, I think the simple answer is what Churchill himself said, history will be kind to me because I intend to write it. And so, it has been because it is a pleasing history for the West, a time when it stood against a great evil and vanquished it. BOB GARFIELD: So what’s the lesson here? MADHUSREE MUKERJEE: I think the lesson is that every culture has its demons and sometimes they are the flipside of our heroes and we should not be afraid to examine them. The Germans have done that and one could argue that it is because they were defeated that they were forced to take a look at their history. BOB GARFIELD: So truth and reconciliation should not be confined [LAUGHS] to the losers in epic struggles but to the winners, as well. MADHUSREE MUKERJEE: It's the winners who owe it themselves to look at their history dispassionately and decide what can or should be changed and what is okay. BOB GARFIELD: Madhusree, thank you very much. BOB GARFIELD: Madhusree Mukerjee is a senior editor of Scientific American and author of two books, including Churchill’s Secret War: The British Empire and the Ravaging of India During World War II. That’s it for this week’s show. 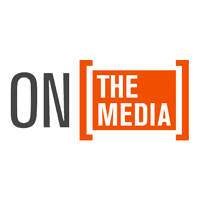 On the Media is produced by Alana Casanova—Burgess, Jesse Brenneman, Micah Loewinger and Leah Feder. We had more help from Jon Hanrahan, Isaac Napell, and Philip Yiannopoulos. And our show was edited -- by Brooke. Our technical director is Jennifer Munson. Our engineer this week was Sam Bair.